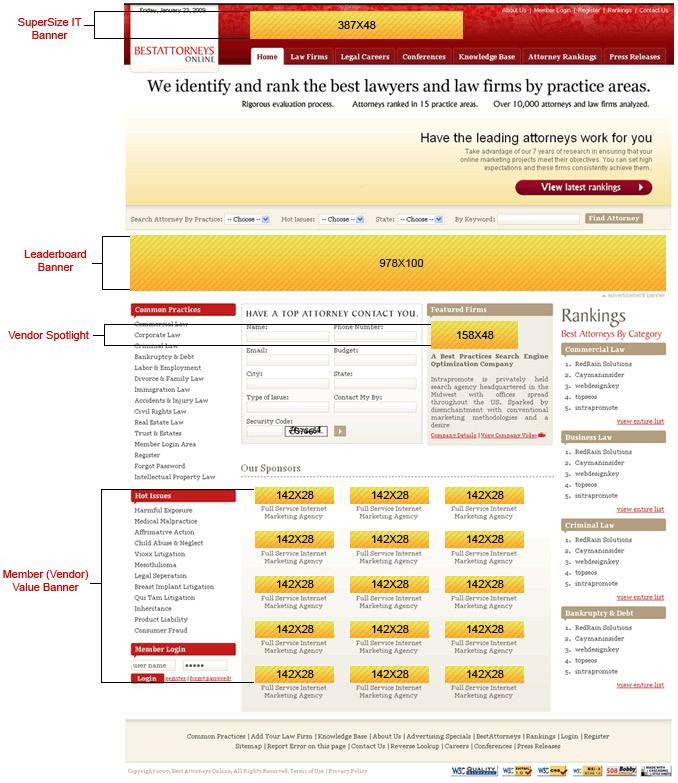 The greatest benefit of advertising with bestattorneysonline.com is that we are here to make the business work for you. You can choose your placement based on the order as to where you want your clients to be able to view your banner and how you want potential clients to view your image. We receive qualified traffic and work to drive traffic to your door through our methods of reaching out and improving the image of our firms.